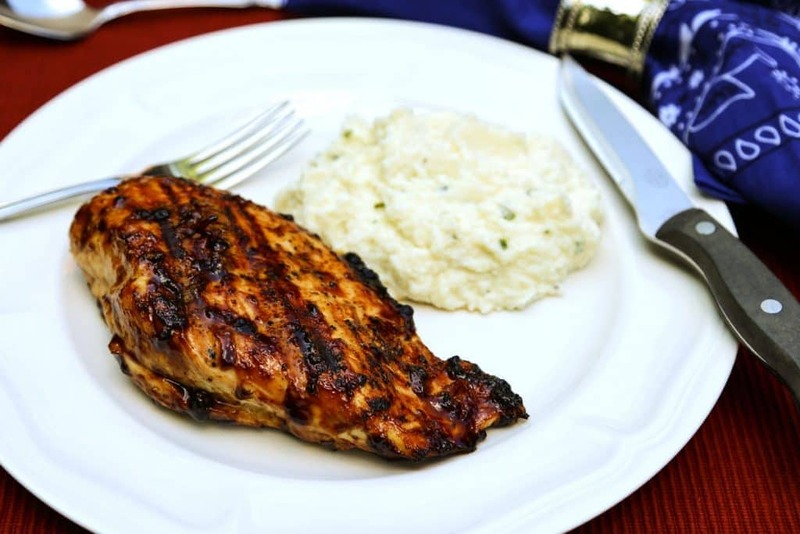 Classic grilled chicken glazed with a thick and tangy balsamic vinegar barbecue sauce and served with sour cream and chives mashed cauliflower. I am proud to be partnering with Bird’s Eye® to bring you this tasty recipe! As always, all opinions are 100% my own. 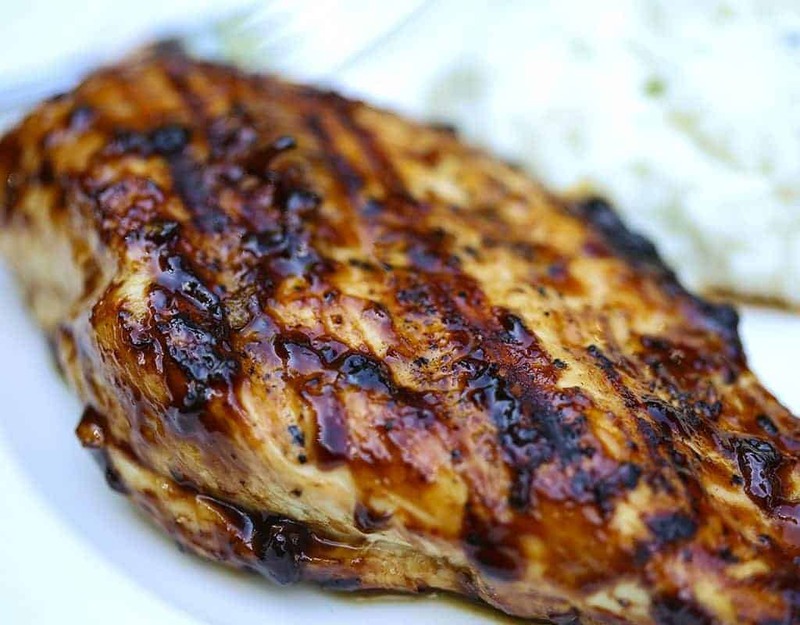 Last summer, we discovered the fail-proof method for perfect grilled chicken. Since then, I’ve been experimenting with variations like this Grilled Chicken with Strawberry Salsa and my new favorite, Grilled Balsamic Glazed Chicken. 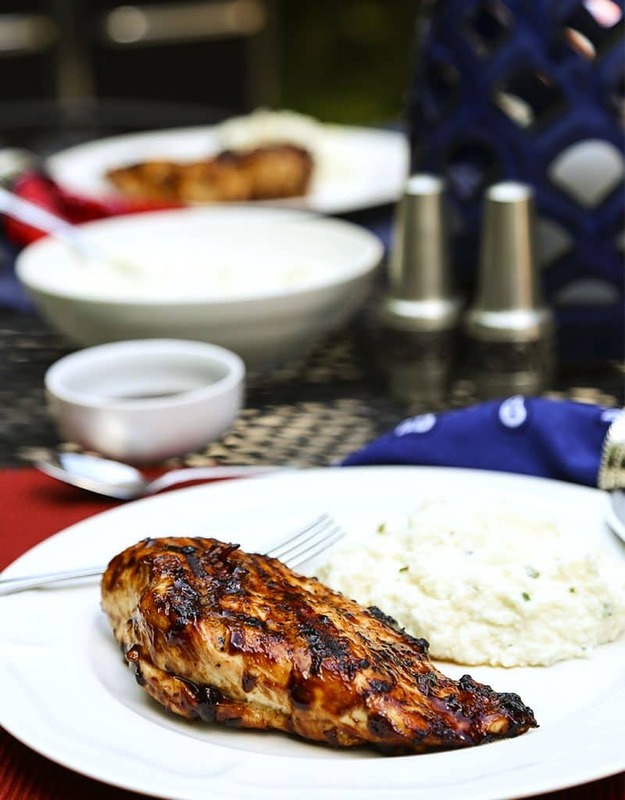 Classic grilled chicken is glazed with a thick and tangy balsamic vinegar barbecue sauce and served with a side of Bird’s Eye® Steamfresh® Veggie Made™ Sour Cream and Chives Mashed Cauliflower. I like to keep our grilling menus simple—and the prep time to a minimum—so that we have plenty of time to enjoy being outdoors. That’s one reason I was excited to find Bird’s Eye® Steamfresh® Veggie Made™ Sour Cream & Chives Mashed Cauliflower at my local Kroger. Not only is it quick and healthy, it’s the perfect side dish to complete this grilling menu! The secret to perfect grilled chicken is starting out with a HOT grill. Brush both side of the chicken with olive oil and season with salt and pepper. Cook the chicken about four to five minutes on each side until just cooked through—don’t overcook and dry it out! Then, add your sauce of choice. 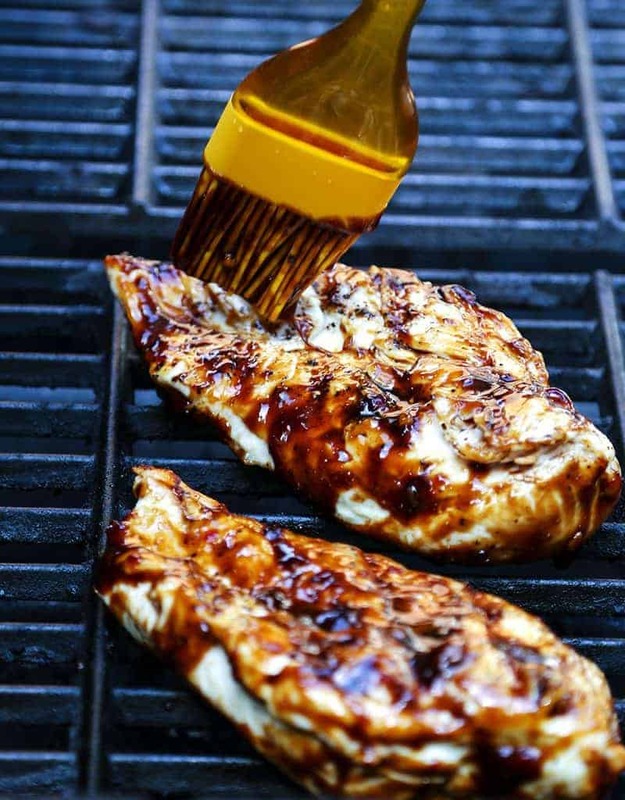 Making this homemade balsamic barbecue sauce to glaze the chicken is just as easy. Combine the ingredients in a small saucepan, bring it to a boil, and simmer for 5-10 minutes until it begins to thicken—super simple and super delicious! Baste the chicken with the sauce during the last five minutes of grilling, continuing to turn and baste the chicken until it has a nice thick glaze. 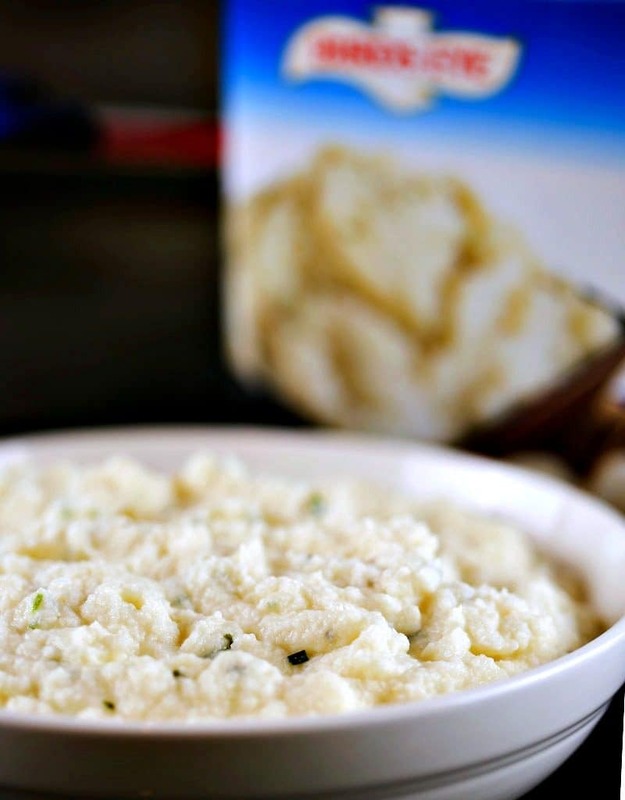 Flavored with sour cream and chives, the mashed cauliflower cooks in the microwave in just minutes and tastes like homemade. Our family thought it was delicious—who can argue with that?! 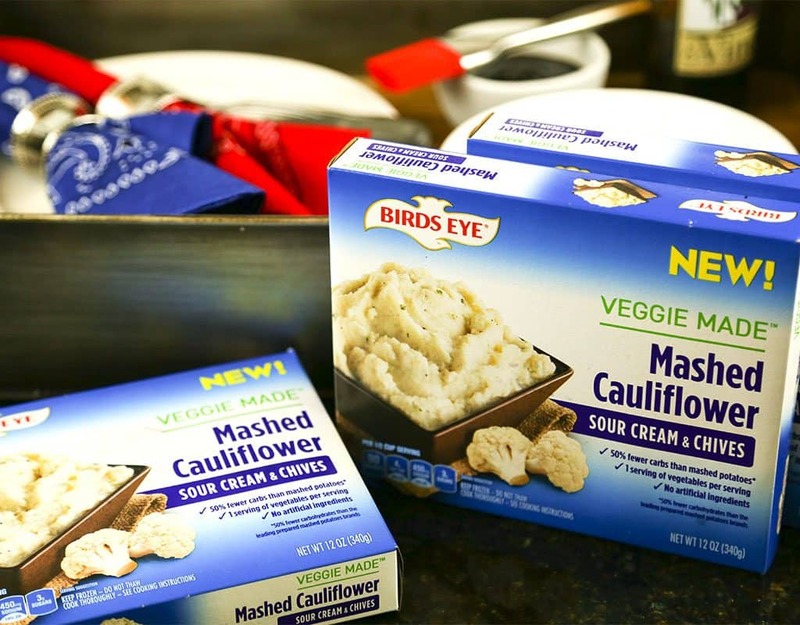 Birds Eye mashed cauliflower is available at Kroger in original or roasted garlic flavors, too. Bird’s Eye also offers Brown Sugar Mashed Sweet Potatoes & Carrots and I can’t wait to try that one the next time we grill pork chops! Preheat grill to medium high. While grill is preheating, prepare balsamic barbecue sauce. Brush chicken with olive oil and season with salt and pepper. Grill on each side for 5 minutes. 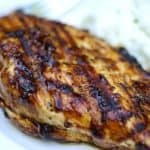 Baste chicken with the balsamic barbecue sauce and continue grilling for about 5 minutes, turning and basting often, until the chicken is well glazed. Prepare Birds Eye Steamfresh Veggie Made™ Mashed Cauliflower with Sour Cream &amp; Chives according to directions on the package. Combine all barbecue sauce ingredients in a small saucepan and bring to a boil over medium heat. Reduce heat and simmer for about 5 minutes, or until thickened. Use to baste grilled chicken. *Nutrition facts are for the glazed chicken only.